History shows that losing streaks fade away. 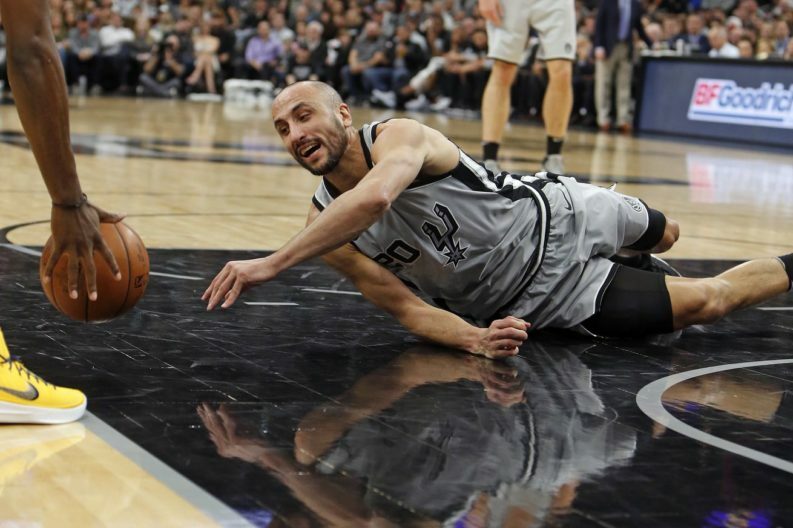 Manu Ginobili dropped some words Spurs fans are not accustomed to hearing. But to what specifically was Ginobili referring when he said ‘terrible’? Is it scoring? Because the Spurs are still the 3rd seed in the Western Conference while their centerpiece and the team’s 2nd best scorer sit sidelined with injury. Is it starting games slow and failing to comeback? Because there have been so many different lineups that it’s hard to tell who fits best who at this point. Is it going 9-10 since the last game of 2017? Well, that one does hurt. Spurs aren’t used to going under .500 for long stretches. But for a little perspective, let’s go back to the 2014-15 season. The Spurs were coming off their 5th NBA title and hoping for the first time in franchise history to repeat. They lost 3 of their first 5 games before finding a rhythm. And then in December they went 8-10, much like what they are facing this January. Woes didn’t end as they dropped 4 straight out of the All-Star Break. But the good guys ended that string of losses by going 21-4 to end the season. As is turns out, the last loss would be prophetic dropping the Spurs from the 2nd seed to the 6th seed and saw a first round exit at the hand of the Clippers. But as you can tell, things turned out all right. They picked up the pieces and did what the Spurs do- compete at the highest level. So, yeah, it might feel like they are terrible. This week. And there are things to improve. And that’s just what they’ll do. Improve. Spurs start off their Rodeo Road Trip tonight in Phoenix. SPURS BY 17!